North Platte, Neb. 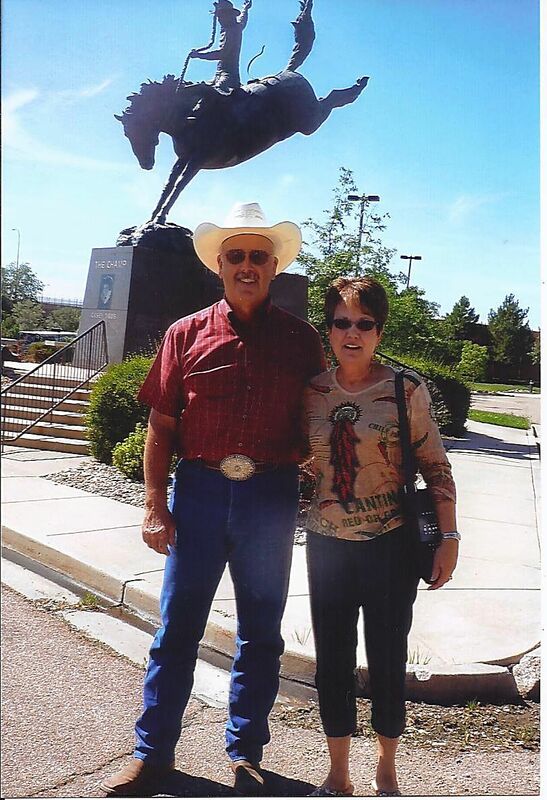 — Jack and Peggy Moorhead are faithful Buffalo Bill Rodeo fans. They're so faithful, they've attended nearly each of the four nights of rodeo for the past five decades. It began when Jack's parents and his godfather took him to the rodeo. The family had horses and Jack was involved in 4-H, and he rode in the grand entry for the rodeo. He attended college for a year at Kearney State College (now the University of Nebraska at Kearney), then transferred to Chadron State. At both schools, he competed collegiately in the tie-down roping and team roping. He rodeoed a few years after college, but not for long. "I could tell I was never going to make a living at it," he said. But that didn't stop him from enjoying the sport. He married his wife, Peggy in 1994, and together, they attend rodeos, and more than just the one in North Platte. They have been to the Days of '76 rodeo in Deadwood, S.D., Cheyenne Frontier Days, and the Timed Event Championship in Guthrie, Okla. And they have gone to the world championship of rodeo, the National Finals, in Las Vegas for many years. It's a way to stay in touch with friends, Moorhead said. The sons of his college roommate, Paul Tierney, compete in Guthrie and it's fun to catch up with Tierney and his boys. Peggy is involved with the North Platte event through the Miss Rodeo Nebraska Pageant Committee, of which she is past president and now serves on the executive board. They often provide horses for the many visiting state queens who attend the Buffalo Bill Rodeo, although this year they won't, due to young and unseasoned horses. They've rarely missed a performance during the rodeo. Moorhead can't recall the last time he's missed one, and thinks it was in the 1980s, when he wasn't in the stands for the rodeo. And they'll be in their seats when this year's rodeo rolls around.